So I got a chance to play the beta for Medal of Honor on PS3 last night and thought I would share my thoughts on it. First off as soon as you jump into a game the first thing you will notice (or at least I did) is the graphics and detail. Yes there are some graphical bugs, but keep in mind IT IS A BETA. It is a non-finished product. With that aside the game is beautiful. I am willing to go out on a limb and say MOH maybe the best looking FPS to date. Everything is very smooth and its reaction to explosions and gunfire are spot on. Now as you play, you get to choose from 3 base classes. Operator, Spec Ops, and a Sniper. Each class has a different main weapon and secondary weapon. When you change sides the names change but the classes are the same. Only difference is instead of a M16 you may use an AK-47. There is a leveling system very much similar to the Battlefield: Bad Company games. This is due to the fact that DICE (responsible for Bad Companys multiplayer) is also heading the multiplayer for MOH. There are also killstreak rewards like in Call of Duty, but when you unlock your reward, you are given the choice of either a mortar strike or call in a UAV instead of just one at a time. As you level just like in Bad Company, you will unlock scopes, guns, and things like extra mags. The map layout is the usual FPS standard. Two levels, high and low. Open areas mixed with tight close quarters. Really the only issue I had with it was whenever I died there was a small lag spike, then my guy would fall over. My buddy I was playing with also encountered this problem, but again it is a beta. With a few little glitches here and there I don’t see any reason why this can’t put up a good fight agaisnt Call of Duty this holiday season. 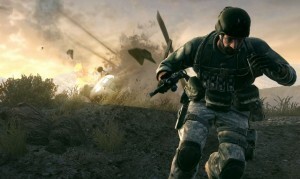 Medal of Honor has good promise to become the new standard in first person shooters. loving sweetheart whose never had the chance to enjoy his life. I do not even know the way I ended up right here, however I believed this publish used to be good. One mod rolled a dice as spawned which gave that person a (potentially-massive) power-up or it could be a (potentially-massive) burden. monsters were acquired through illegitimate methods, such as hacking and using exploits, in the previous installments of the series. over save points in order to get rid of the cash handouts from the hackers. Were lots of volunteers plus starting off a whole new system inside our local community. Your website provided us with valuable information in order to art about. You may have performed a powerful hobby as well as each of our total community should be thankful for you. You currently know therefore drastically about that topic, helped me individually accept it as true originating from a number of a variety of angles. It is similar to individuals are not interested until it really is think about employ Woman coo! Your own items excellent. All of the time handle this! Was informed by CABXYZ this morning that the beta was up for the 360. I had a free beta code so tried it out alittle before work. I have to say the game play is a pretty good marriage of mw and battlefield. Played out the attack/defend type but it was really good deffinitely got the bc2 feel but different. I played this for a little bit last night. Game looks pretty sharp. It definately does need some polish but that’s not to be unexpected for a beta release. I can’t wait to see the final PC product. That is one of the main reasons I liked BC2 or MW just because it felt authentic and the fact that I didn’t feel like a “cha ching” every time i popped in the game. BC2 feels tense, fast and fierce where i never got that feeling playing Modren Warfare. In MW2 I was never trying to avoid enemy fire…flank… surprise… etc. It’s just one big “rat race”. I played the Beta all day today and could not get enough. There are problems but that is why it is a beta. If they can fix the bugs and short comings in the next couple of months we have a very good contender on our hands. It felt like Battlefield:close combat. I know it is made by DICE and that is not a bad thing. I skipped playing the first Modern Warfare’s multiplayer for the first Bad Company. I did the same with the second to play BC2 and I still play BC2 more than any other multiplayer game out there. CoD feels like I’m playing paintball, BC feels like a warzone, and so does MoH. That’s what gets to me more, not saying that the CoD games are bad because they are far from it. It’s just the repetiveness of them. Since Modern Warfare, every CoD just feels reskined and put in a different wrapper. If MoH can fix the few bugs, I will be laying down my $60 for it and Black Ops can have all the shelf space it needs. Ill stick with MOH till they dont create any new games. its the COD games i cant stand.